We are members of the official provider in Greece the Athens - Piraeus Association of tourism Automobilists. Τhe Association was established in 1929 and throughout the last years evolved into a company . We offer exceptional VIP service levels of comfort, Service, Convenience and Security. 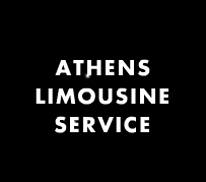 Personal limousine service with hourly or daily rates for Business Appointments, Glamorous Nights and access to restricted Historical places of Greece. We exclusively have special Authorization from the state in order that Legally we provide our high level services. Our Professional, discreet, civil Chauffeurs takes you from door in an exclusive vehicle, allowing you to relax and enjoy superb comfort in luxury cars. Our team is dedicated to those individuals who show faith on us. The professionalism, discretion and reliability of all our security officers and drivers are simply exceptional. Υou can utilize a vehicle from our fleet, or you can opt to have us chauffeur you in your personal vehicle, the choice is yours ..